The Russian Olympic Committee athletes' commission sent a letter to IOC President Thomas Bach asking for "your support in upholding" the right of clean athletes to take part in the games. Russian athletes pleaded Wednesday to be allowed to compete at the Olympics in Rio de Janeiro, making their case two days before the IAAF decides whether to lift its ban on the country's track and field team. "We ask you and the International Olympic Committee to take a humanitarian attitude to the many athletes whose fate is at stake and to take a balanced and wise decision," the letter said. Russia was suspended from international track and field by the IAAF in November after a World Anti-Doping Agency report alleged widespread, state-sponsored doping. The IAAF council meets Friday in Vienna to decide whether to maintain the ban. The Russian athletes said in their letter that a ban from Rio would be collective punishment for the misdeeds of a minority and would "truly have a destructive effect on the whole system of Olympic values and cause irreparable damage to the development of sport in Russia." The letter states that, in order to be allowed to compete, Russia's track team would face extra drug testing and athletes who have served drug bans at any time would not be selected. As a result of those measures, "it is guaranteed that our athletes are clean; none of them have ever taken banned substances and there are no suspicions about them," the letter said. ""Please, tell us what else we must do to convince the Olympic community of our commitment to the fight against doping." The letter was provided to The Associated Press by athletes' commission head Olga Brusnikina, a former synchronized swimmer who has also had a role in overseeing reforms at the Russian track federation since it was suspended in November. The commission consists of 13 athletes, most of them retired. Eight are Olympic gold medallists and two have faced accusations of doping. 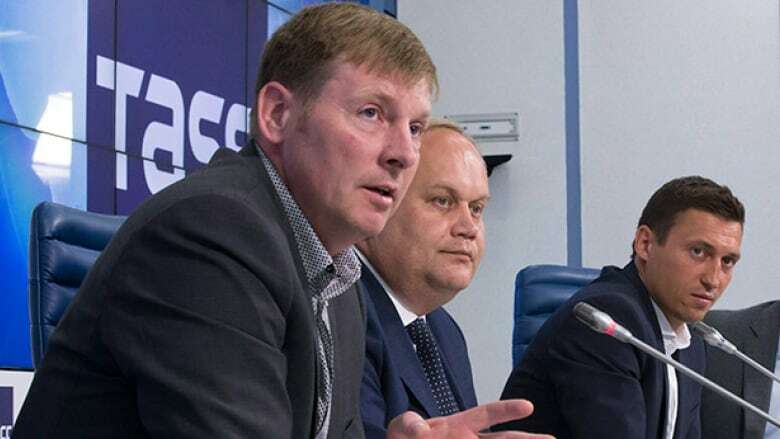 Among the members is two-time Olympic bobsled gold medallist Alexander Zubkov, who has denied accusations from former Russian anti-doping laboratory director Grigory Rodchenkov that he doped at the 2014 Sochi Olympics. Also on the commission is figure skater Ekaterina Bobrova, who served a brief provisional suspension this year after a positive test for the banned substance meldonium. The suspension was lifted because of the low concentration of the substance in her sample, but no final decision on her case has been made public.